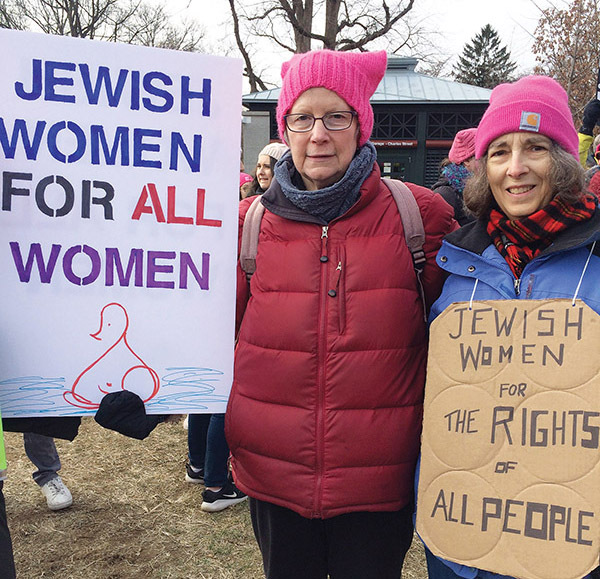 BOSTON – Despite the controversy over anti-Semitism – or possibly because of it – Jewish women from across the state banded with thousands of others on Saturday in the Boston Women’s March. Joining together on a frigid Saturday wearing their pink hats from the first Women’s March the day after the Trump inauguration in 2017, women and allies young and old spread out over Boston Common calling for empowerment, equality, morality and a lot more. March Forward Massachu­setts, a coalition of feminist organizations, is separate from the national Women’s March, which gave life to the movement three years ago. Women’s marches – independent of the national group – were held in over 20 states. Several of the organizers stated the charges of anti-Semitism in the movement motivated their choice to disengage. Despite the divisions, lack of funding and frigid weather, demonstrators blanketing Boston Common displayed no shortage of issues dear to their hearts. 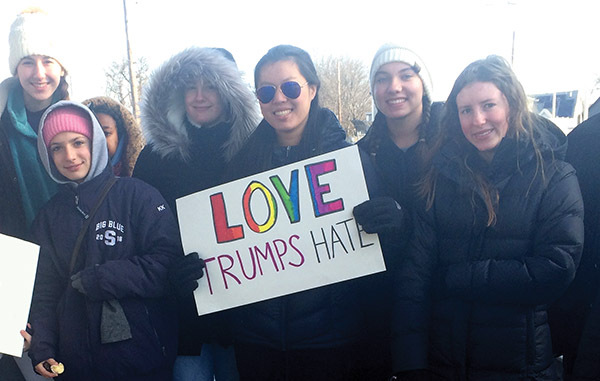 Swampscott High teens make their voices heard. Robin Slavin of Swampscott, mother of one of the teens, marched in order to “bring the country together and get the federal workers back to work.” Her husband, Ken Reker, also joined in to support women’s empowerment. 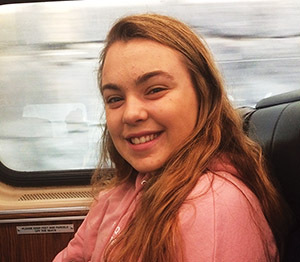 “In 20 years, I want to say, ‘Yes, I went to those marches,’” said Anna Milendorf of Beverly. Tensions began when two of the national leaders of the original Women’s March, Tamika Mallory and Linda Sarsour, associated with Nation of Islam leader Louis Farrakhan. Over the years, Farrakhan has blamed Jews for black oppression and recently compared Jews to termites. Last week, on the syndicated TV program, “The View,” Mallory defended Farrakhan’s work in the black community. While she said she did not agree with Farrakhan’s anti-Semitic statements, she did not renounce them. Teresa Shook, founder of the first Women’s March, called out its leaders for allowing anti-Semitism, anti-LGBTQA sentiments and racist rhetoric to become part of the platform by refusing to distance themselves from groups that espouse these beliefs. Divisions and acrimony increased after Vanessa Wruble, Jewish and an early organizer of the Women’s March on Washington, said she was forced out of the organization by Mallory and Carmen Perez, a Latina criminal justice reform activist, who told her she needed to “confront Jewish racism before she could really understand the women’s protest movement” according to the New York Times.  “What I remember — and what I was taken aback by — was the idea that Jews were specifically involved, and predominantly involved, in the slave trade, and that Jews make a lot of money off of black and brown bodies,” Wruble told WBUR radio in Boston. NAACP President Tanisha Sullivan with JALSA Director Cindy Rowe. Speakers in Boston on Saturday took direct aim at these divisions, emphasizing the inclusivity of the movement. She spoke about having to fight to win a battle that was ignited by the catalysts of hate and white supremacy in which all minorities – blacks, Jews, LGBTQA, Muslims and others suffer. “We are here today to say, ‘Enough.’ Hineni. We are here to denounce anti-Semitism, racism and bigotry. We are here to use our collective power to stamp out institutional oppression, to fight for LGBTQA and immigrant rights. And we are here to build a future with love, kindness and justice,” said Rowe. As she finished her speech, Sullivan joined her on stage. They embraced. “It’s a bold statement of unity,” said Sullivan. “We commit to be here together until all voices are heard and all women are seen,” said Rowe. Joelle Gunther made the trip from Lexington to attend the women’s rally. Her sign, “Jewish Women for All Women,” was in response to tension in the movement. “That’s what made me make this sign.” Gunther came with two friends who attend Temple Emunah of Lexington. Rachel Rosenbloom of Cambridge was there with her daughter Elisa Alvarez Rosenbloom. They attended the first Women’s March in Washington D.C., and the march in Cambridge last year. 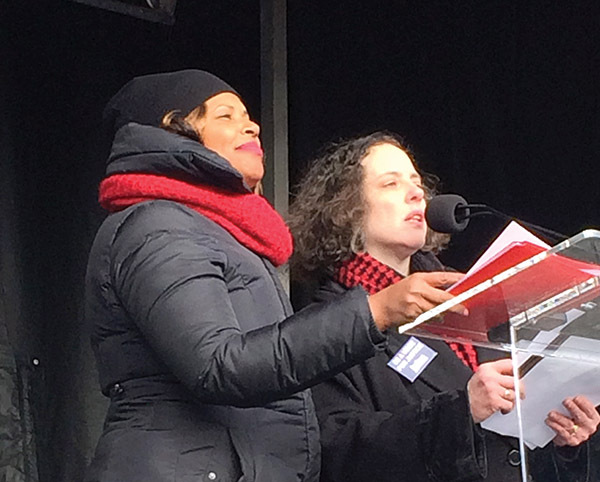 “It’s important to march for women’s rights, for everyone’s rights,” said Rosenbloom.